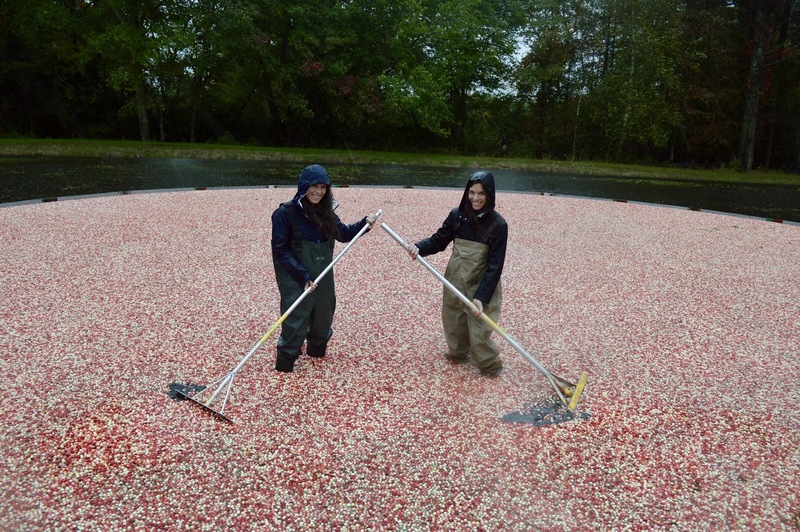 Yesterday with the wrath of a rainy fall storm upon us, we rendezvoused in Acushnet for an eye-opening cranberry bog experience. 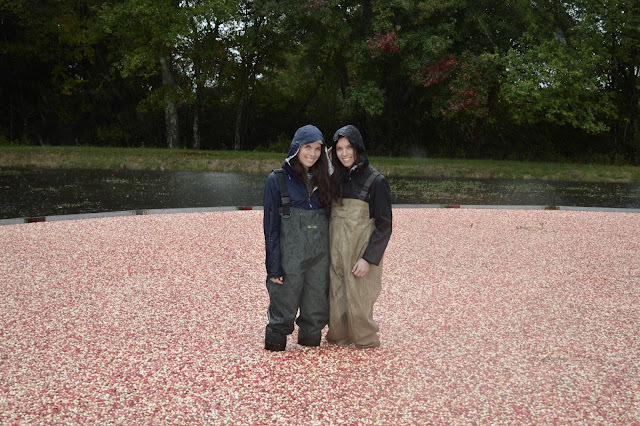 Growing up in Massachusetts, a visit to a cranberry bog had basically been a bucket list item for the two of us. With our layers on and rain jackets zipped tight, we were ready for the tour! We arrived at Stone Bridge Farm, a 25-year old family-owned and operated cranberry farm before noon. We ducked for cover in the adorable Cranberry Cottage filled with fresh cranberries, local artisan products, farm aprons and collectibles. 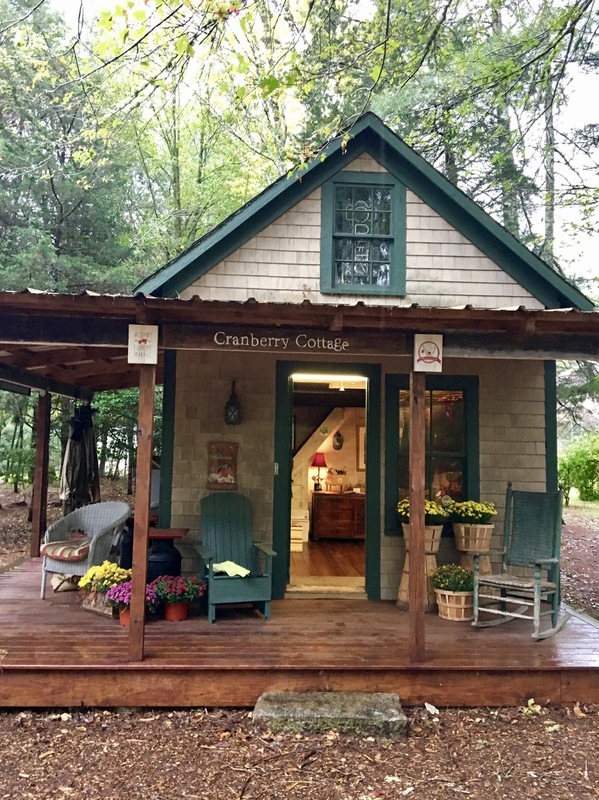 Owner, Scott Harding warmly greeted us and provided a brief history on the cranberry growing process. Scott’s friendly and sweet wife, Joanne led us to the flooded cranberry bog on their property. We pulled up chest waders over our clothes and scooted in, making sure not to slip on the bobbing cranberry sea. 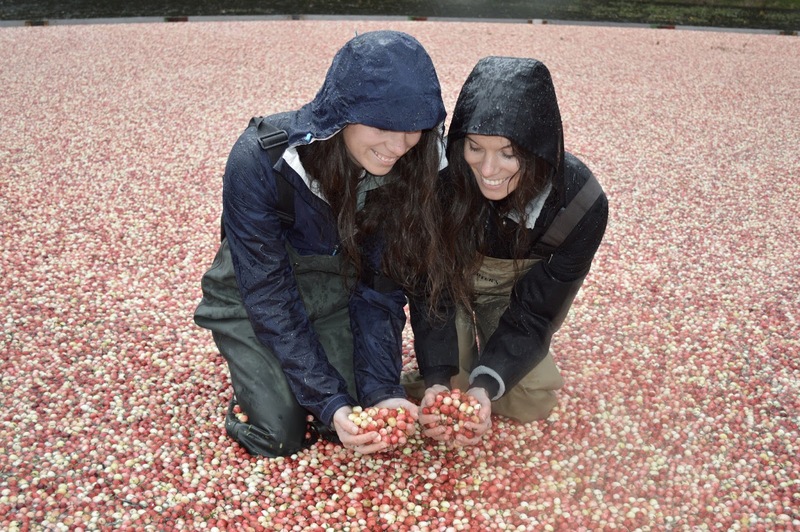 It was such a unique feeling and surreal experience to push through the floating cranberries and vines with the rain pouring down on us. 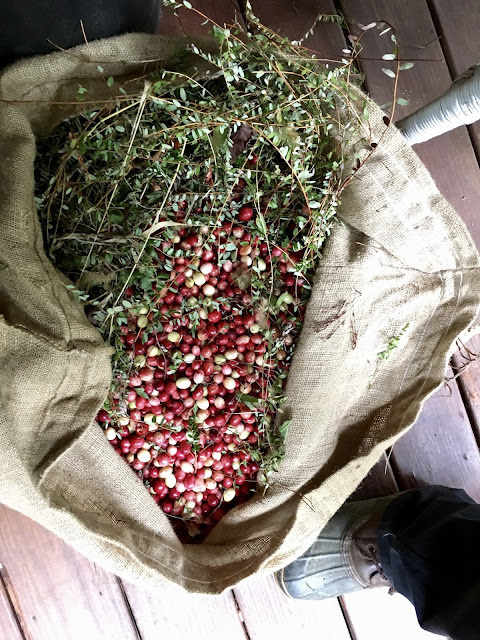 As we scooped a handful in our hands, we were in awe of the stunning mix of red, pink and white pearls. 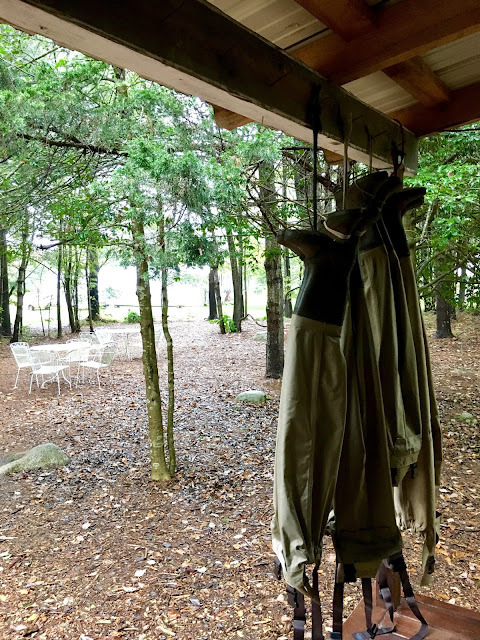 We left the farm soaking wet but so giddy to be able to check this experience off of our bucket-list item. Time to brainstorm some cranberry recipes for fall!